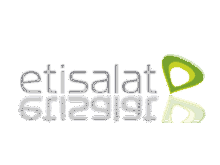 Etisalat Launches New Night Plan - 250MB for N50 Seems like Etisalat is back to their senses, with hot rocking blazing night plan. 2. Make sure you have minimum airtime balance of N50. Dial*229*10*10#to activate 250MB for N50 (Usable between 12:00am- 5:00am)It doesn't require any VPN before it can work and power all apps. comment here to know more about this plan Asap..